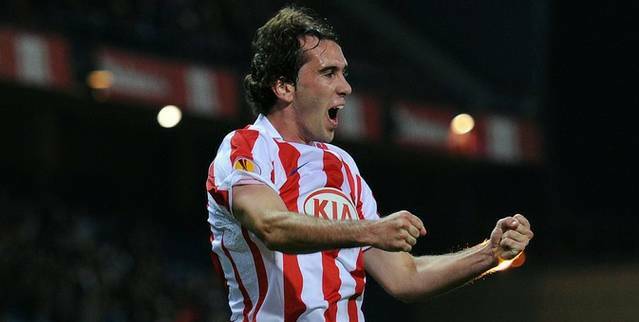 Diego Godin is refusing to buy into transfer talk over a move away from Atletico Madrid, though the 25 year old has admitted that he would look at a deal if the Blues showed interest. Godin has been the subject of transfer speculation for a move to Stamford Bridge for some time, and the club had bids rejected for him at the beginning of the year. The Blues were able to land David Luiz instead, but the Brazilian has been disappointing in defence, and Chelsea have so far conceded 17 goals this season. Andre Villas-Boas is said to be looking to buy some defensive players in January, but Godni said that even though the transfer window opens in less than six weeks, he isn't thinking about a move away from Madrid.The Uruguay international is said to be worth over £15m, and Atletico would make a tidy profit on the sale, after purchasing the star from Villarreal for £6.6m last year.